For Technicians You Can Trust, Call Mr. Appliance! 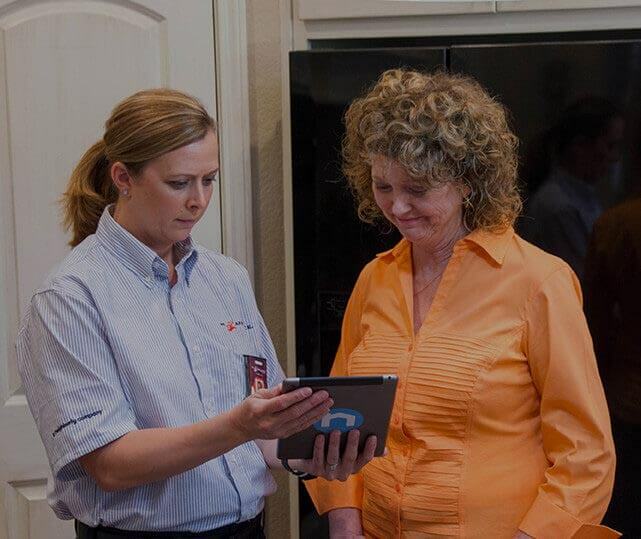 Even one broken or malfunctioning appliance can bring your entire household to a halt. Let the skilled appliance repair experts at Mr. Appliance of Edison put an end to all the frustration, with repair services you can truly count on! Experienced with countless brands, makes, and models, our Edison repair technicians can help you restore just about any appliance to working condition again – and bring your life back to normal in the process. Don’t settle for second-rate service! Get your routine back on track when you call Mr. Appliance today at (732) 338-0887. We’ve all been there before: You take time off work or away from your family, only to find that the appliance repair tech still hasn’t arrived yet. When you hire Mr. Appliance of Edison, however, you’ll never have to wait on quality service. We pride ourselves on prompt arrivals, and our uniformed appliance repair technicians in Edison are committed to accommodating your busy schedule. Need help with an appliance repair task in the Edison area? Just give us a call at (732) 338-0887 to get started with scheduling your services.